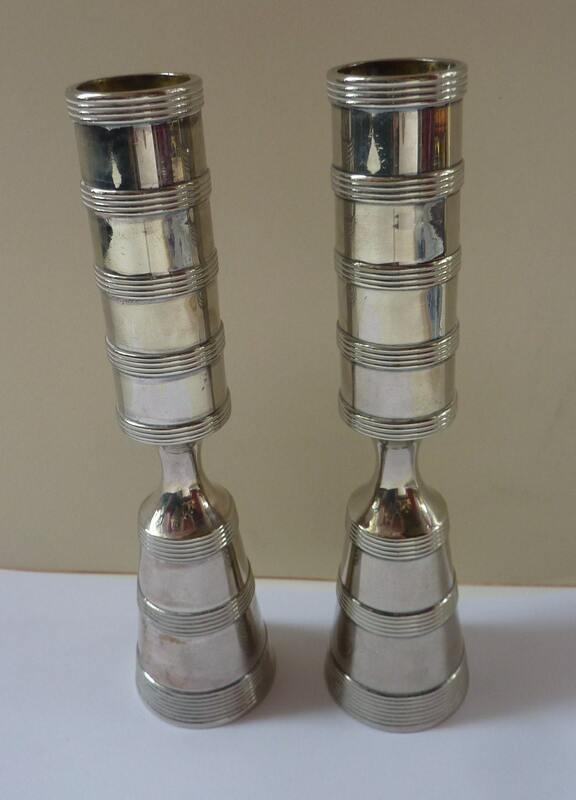 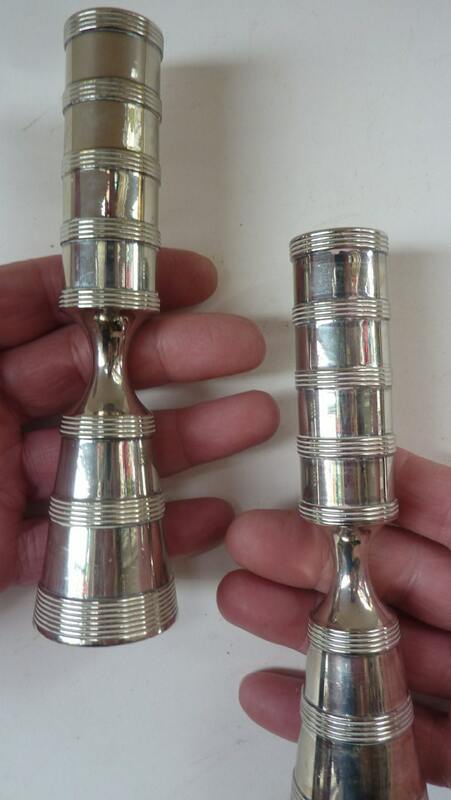 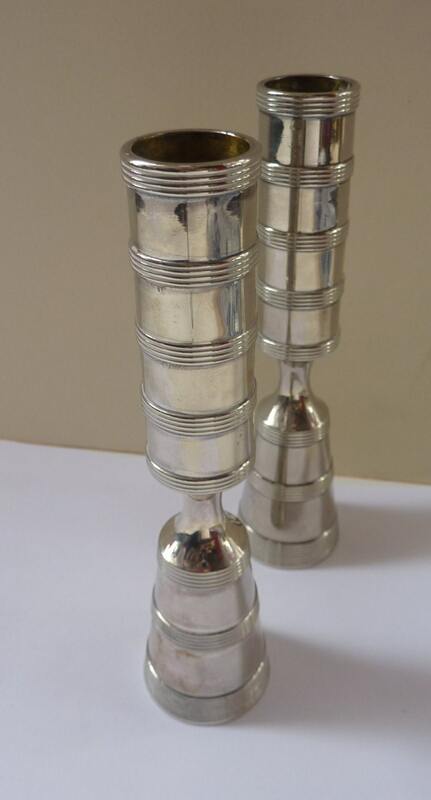 These are certainly a most beautiful pair of silver plated & heavy brass candlesticks. 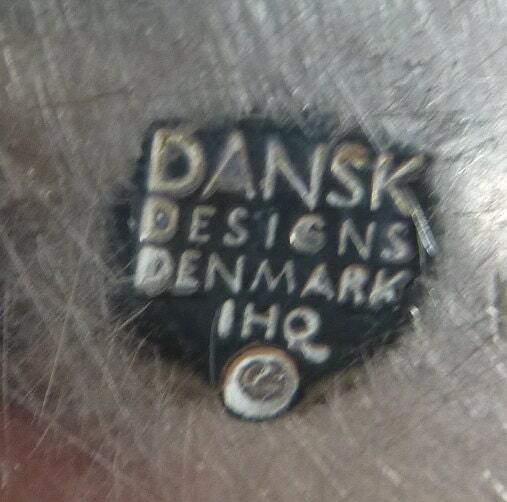 Designed in 1968 by Jens Quistgaard for Dansk Designs. 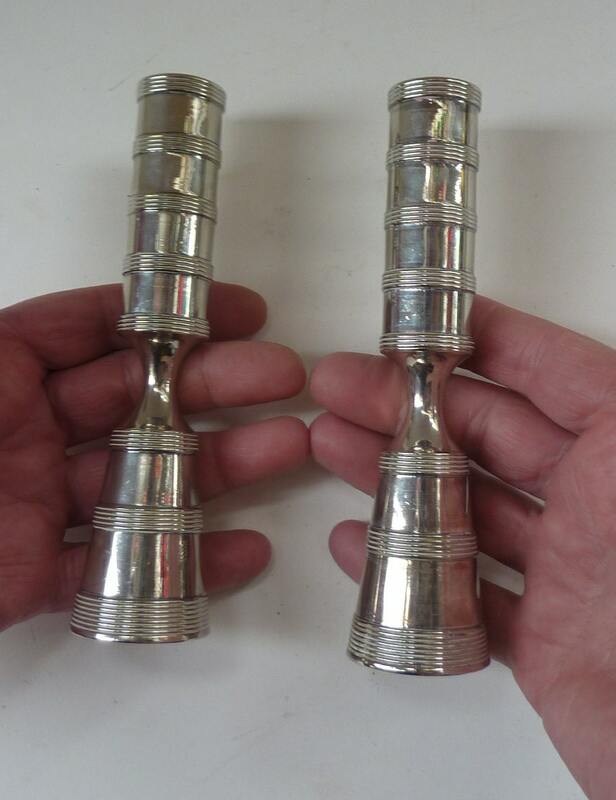 6 inches in height with a diamter of 2 inches.